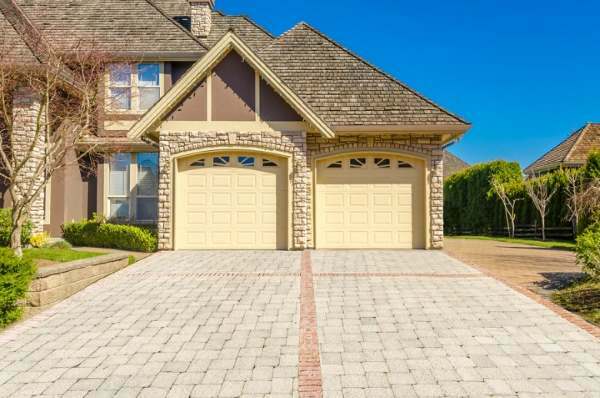 Beautiful garage doors accentuate the beauty of you home and add to your property's value, if you choose the right garage door. With so many styles and types of garage doors in Westport Point to choose from, choosing the right one for your home can be challenging. Our experienced team at Patriots Overhead LLC is fully trained and experienced to help you make a decision on what Westport Point garage door best suits you. Whether you're looking for a contemporary look or a more traditional, Patriots Overhead LLC will provide you with all the information you need to make the right choice. Since 2014, Patriots Overhead LLC has been providing garage door services in Westport Point, Massachusetts. If you're considering replacing or installing a new residential or commercial garage door in Westport Point, call Patriots Overhead LLC now to schedule your free garage door consultation! 5★★★★★ - "Guys were friendly and clean and did a good job." 5★★★★★ - "Awesome help. My wife freaked out about the garage door not working especially since our children use vehicles to get to and from school. Luckily, the job was done in a day. Even in bad weather." 5★★★★★ - "Excellent service! Re-aligned garage door off track, performed complete tune-up, and fixed / adjusted several other small problems. A quick response time, over 1 hour of labor by two, and a very good price. A first-rate experience." 5★★★★★ - "First off - Tyler is super nice! From the moment I contacted him regarding my garage issue, he took care of my issue right away. He responded quickly to my issue and got the issue taken care of in less than a hour and a half. They also have the best prices around!" 5★★★★★ - "They did a great job! Great prices as well!" 5★★★★★ - "Such great quality of work!" 5★★★★★ - "Tyler and Issac answered my call right away and were on time for appointments. Door was repaired promptly and efficiently. Would gladly recommend them to family and friends. Gordon, East Greenwich"
5★★★★★ - "Excellent service! Fixed garage door off track, performed complete tune-up and fixed/adjusted several other small problems. Over 1 hour of labor by two for a very good price." 5★★★★★ - "Patriots Overhead LLC is a great company with an endless future. The team really cares about the quality of their work and gives a great customer experience." 5★★★★★ - "Great company and service. Very polite and on time. They repaired my garage doors right on time for this winter and quoted me for a complete replacement. Best prices I've seen so far and I will definitely be ready to replace them next summer. I will call them for sure." 5★★★★★ - "Patriots Overhead is a fantastic company. These guys not only have unbeatable prices...but they genuinely care that the job is done right.. exceeding the customer's expectations. They had a great attitude and were a breath of fresh air, to be honest. Their cleanup was fast..and I'm pretty sure the area was cleaner when they left than when they got there.. %100 Satisfied"
5★★★★★ - "Patriot overhead was a great team both of them were here did what they had to do clean after themselves. my garage is working perfectly they hook me up on my smart phone to open my door from it. I recommend them great job guys. Unbeatable prices I looked around and they had the best prices."